When in Fez, keep your eyes peeled and your mouth open (and your pockets lined with cash). 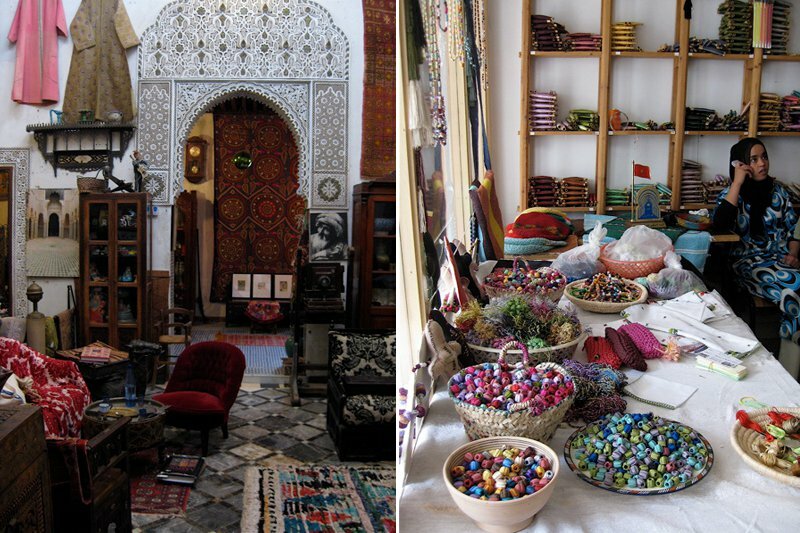 Fathom contributor and global textile hunter Joanna Williams takes to the souks like a local. FEZ, Morocco – It feels like only yesterday that I was walking the cobblestone sidewalks of Fez, sampling street food and hunting for textiles. My mission was to source fabrics for my design studios and spend time with my best friend, who had recently moved from Los Angeles to show her daughters a different kind of life. I was extremely lucky to have her as my trusty guide. She speaks Arabic and negotiated hard on my behalf for pillow cushions and embroideries. She also introduced me to some Moroccan rituals that I have since incorporated into my daily routine, like dousing myself in pure argan oil and moisturizing with silky rose cream, all purchased in the medina of Fez. Nina took me to her friend Fouad's riad, Riad Les Oudayas. I highly recommend staying when you visit. Read about Joanna's Fez adventure on her blog. Parts one, two, three, and four. Buy the treasures Joanna finds on her world travels.